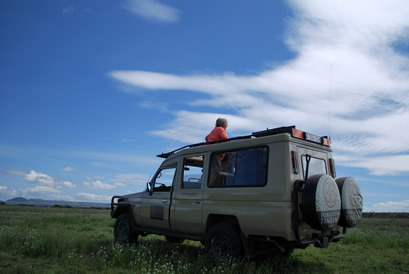 SAFARIS DESIGN AND STYLE-Pivate, custom made Wildlife Safari to Serengeti,Ngorongoro,Tarangire,Where to see the wildebeest Migration, Serengeti Big cats,birdwatching in Serengeti. 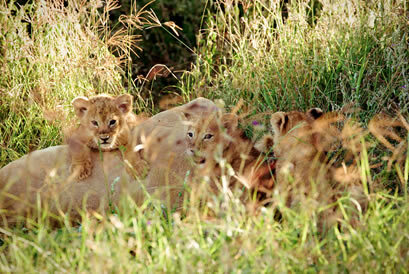 The skill and expertise of the company's knowledge of the Serengeti clearly reaped dividends for our experience. We would literally go for hours on end, without even seeing another safari vehicle...which is quite a rare feat in such a busy park. We specialize in high quality, wildlife focused tailor-made safari for our clients rather than selling packed itineraries off the shelf. We have gained a reputation for our reliability, honesty, professionalism, friendliness and the delivery of extraordinary guest experiences. As a small service-oriented company focused on high quality safaris, we travel extensively to inspect the lodges and camps we recommend on our itineraries to personally experience the rooms and guest tents, the meals and customer service so we know exactly what the each client will experience at a property we recommend. Whether it's laid back luxury of a casual bush camp or refined elegance of the Four Seasons Serengeti Lodge, each property has its own unique flavor and characteristics and we always try to match up the client's style with our property recommendations. Unlike most other tour companies, most trips are guided personally by one of the owners of the company to ensure a first-rate safari. Tanzania born and bred and with years of guiding experience, we love what we do and instinctively know what makes an unforgettable safari experience. Our game drive style is unique as our itineraries, carefully designed to explore remote and largely unexplored wilderness areas whilst delivering the best safari experience. We provide unlimited game drives and clients have full control over what they want do, what they would love see, and where they want to go. We believe our safari guides are some of the best all round guides in the industry, some of them: having lived, breathed and guiding in the Serengeti for over a decade, as biologists, naturalist, or passionate guides, they knows the parks like the back of their hands.